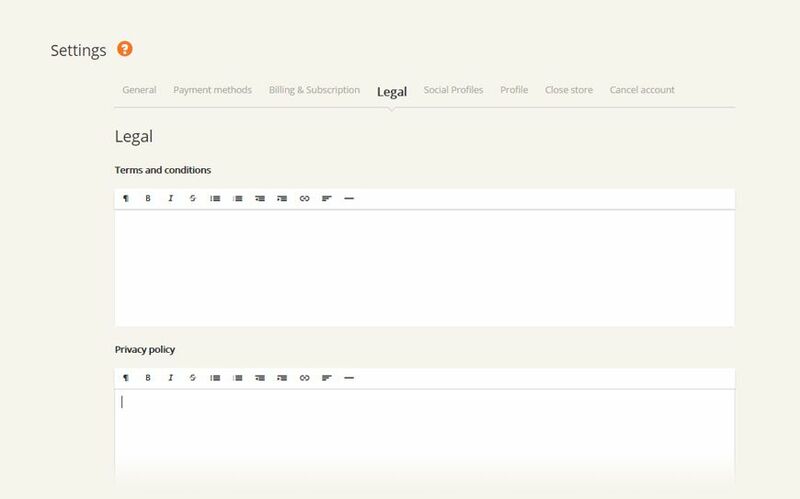 On the Setting menu’s General tab you can find and modify all your store’s details like your store’s name, address, language, currency, location and the email address. Store Name which will be used in emails sent to your customers and will appear on the browser tab when customers are viewing your site. Store address which is part of your store’s domain name in case that you don’t have an own domain and is connected to your store. For ex: soldigo.com/mystore. The main Language of your store. Location is the country where you store is located. The main Currency of you store.The Email address with which you are registered and which will be used when corresponding with your customers. Based on the plan you are using you can modify a few additional settings as well. By setting the Live Converter to Yes you will give your clients the possibility to see prices in the currency they are familiar with. Let your customers browse your store in their language by selecting from more than 14 languages. This will translate everything except for your uploaded data. 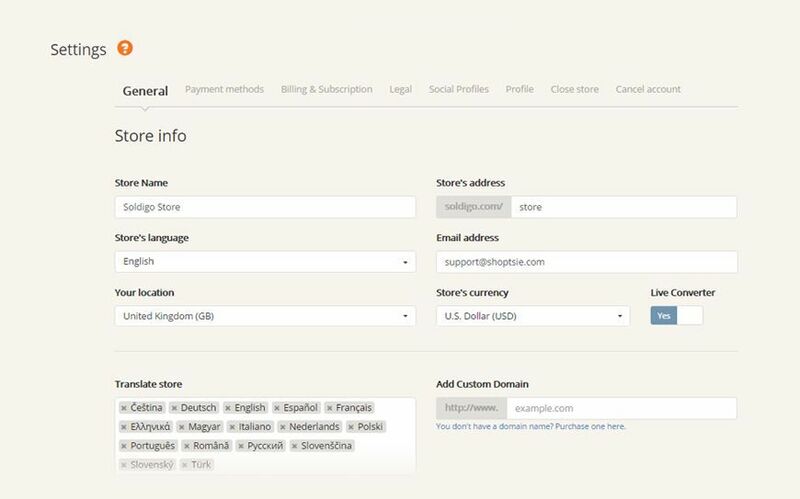 You can add your custom domain that you already bought. Fore more information on how to set up your custom domain click here. Specify the various payment methods that you will accept. For more information click here. You can connect your Soldigo store with your friends on Facebook, Twitter, Google+, Instagram and Pinterest. Be sure to click Save when you finished making changes. Are you going in a Holiday or taking a break from the online world? Under this tab you can close your store. 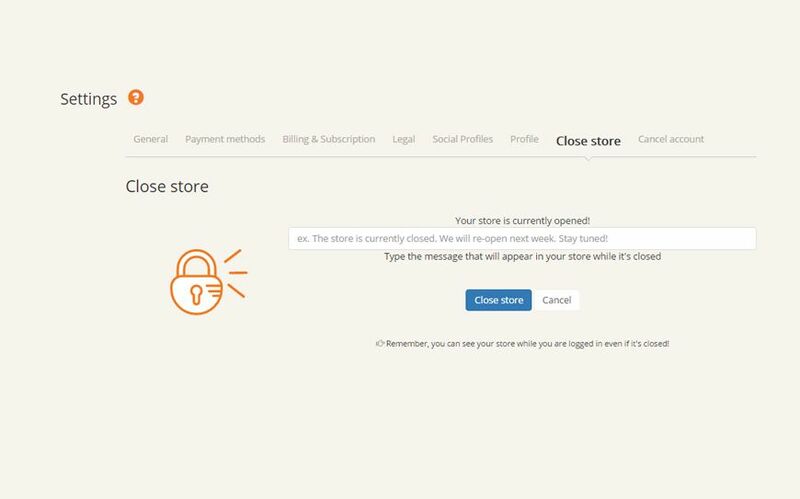 You can add a message that will appear in your store while it’s closed.